12th September – Brewing NOS reviews and a session to explore the development of a higher level SVQ, for the role of Brewer. This is aimed at Processing/Operations Managers in the Brewing sector. 13th September – Meat and Poultry NOS reviews. This is aimed at Processing/Operations Managers in the Meat & Poultry sector. 2nd October – Meeting to review a range of suites which sit across all food and drink businesses, such as Business & People, Product Development, Support Operations and Engineering Maintenance. We require the involvement from individuals in roles such as Marketing Managers, Customer Service Managers, Factory Managers, Site Managers, HR Leads, R&D managers, New Product Development Managers, HSE Managers, Facilities Managers and Cleaning Managers. 3rd October – Fish and Shellfish NOS reviews. This is aimed at Processing/Operations Managers in the Fish & Shellfish sector. 17th October – NOS reviews in the areas of Fresh Produce, Milling and Cereals, Sweet Confectionery. Group sessions to consider these areas and to gather feedback. Suitable for Processing/Operations Managers in these sub-sectors. The review of these crucial benchmark industry standards will help support the aims of the Skills Investment Plan for Scotland and Ambition 2030.
Business involvement will ensure the benchmark industry standards of performance and effective working keep pace with changing industry needs. The NOS for the food and drink sector form the basis of industry qualifications and are used to inform professional development. 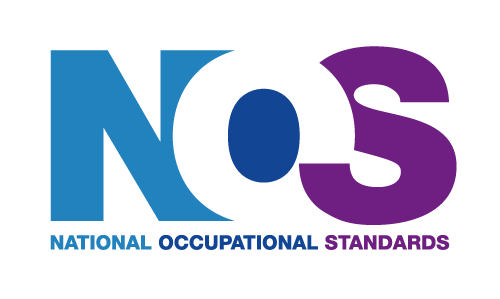 In Scotland, industry agreement to revised NOS will directly inform development and reviews of Scottish Vocational Qualifications and Modern Apprenticeship Frameworks. If you are unable to participate in these face-to-face meetings, you can still get involved by completing the online consultation sites for the review of the NOS suites. The first are now available and you can participate by following the links below.